Hi Jason, nice machine. 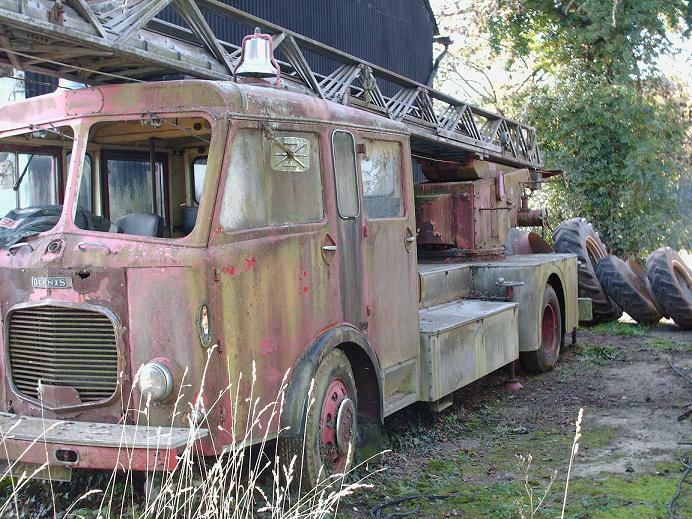 It's a former Surrey TL Magirus DL30 from 1961. Did you get it fully operational? Can you please check for me the TL number? Added by Fire995 on 31 January 2007. Added by Jason on 01 February 2007. Added by Fire995 on 01 February 2007. Oh yes by the way it is fully operational having a full bare metal re-spray hope to be done by september could not beleive how complete she is has virtualy everything radio telephone, blues n two's just after the hard to find bits now!! i would love to get over to Ireland ans see those in that "Dennis scrap yard"
Added by Jez Lambley on 07 March 2007. Added by Jason on 08 March 2007.